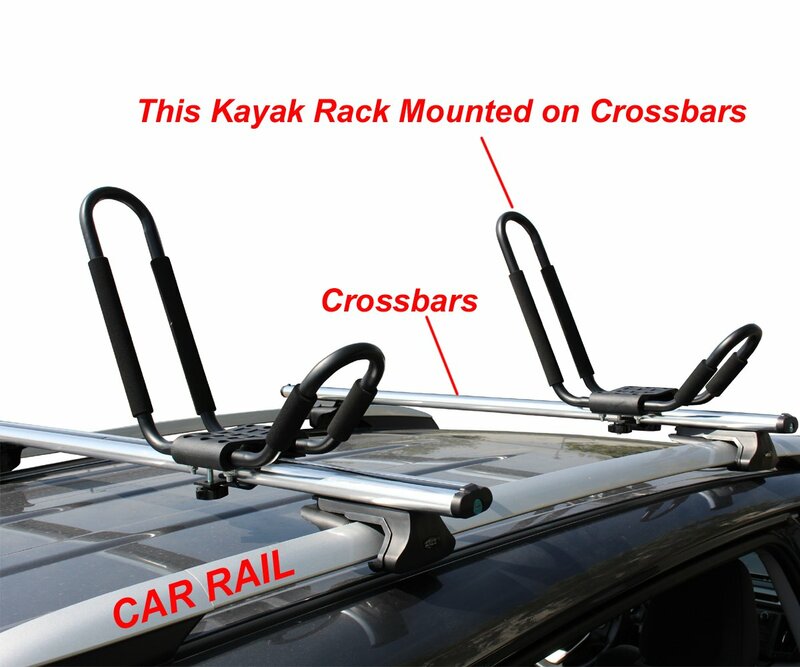 5 Reasons Why You Need Kayak Rack For Your Pickup Truck? Owning a kayak means that you are an enthusiast. Whether you use it to go fishing, or for sport, you definitely want to keep it in perfect shape for your excursion. Not everyone is lucky enough to be living next to a water body. Thus for most of us transporting our crafts is just part of our day to day lives. There are various ways to get a water craft to a river or lake. You can hire someone to carry it for you, or borrow a friend’s ride. But nothing beats the independence that you will have when you can get it there yourself. Many kayak enthusiasts opt to have their vehicles modified with a rack to enable them to transport the craft themselves. Some craft carriers area designed so that you do not need to take them off your car ever. This way all you need to do is to load your craft whenever you are heading for the water. The basic reason for having a having this is to be able to transport your craft. You probably live away from a water body. Getting your craft there can be a tedious task if you have to rely on friends or tie it onto your truck bed. It would thus be wise to set aside some money to get yourself a water craft carrier. Having a pickup track means that you have great options when it comes to these carriers. Your vehicle has the potential to carry about four crafts when fitted with appropriate racks. There are many good ones that you can choose from. Make a decision to get these additions and you will not have a reason to keep away from the water. The truck bed of your pick up is functional and can carry much already. However when you have a craft rack added onto it, you can do much more. For example, the TMS T-NS Hitch Bed extender adds to the capacity of your pickup bed. The increased capacity allows you to carry a distributed weight of 750 lbs which you could not carry before. This can be the weight of a kayak or two, camping gear, and even tools that you need for an outdoor excursion. For most people, water crafts are a hobby that they enjoy participating in over weekends and holidays. Many people will thus use these racks for other purposes. The TMS-T-NS model accommodates vertical adjustments which add the capacity of the pickup by thirty inches and increased the width by 7 feet. This is a large space with which to carry things around. When you work as a carpenter and are hauling wooden planks all the time, the extender will certainly make your work easier. Tools especially long ones can be accommodated well with the extender without scratching the sides of your pickup. Some canoes are foldable and can be carried in a pickup without racks. Not all of them are this way. Your preferred make may be a long vessel which you would love to protect. When carrying it with an unfitted pickup, about half of it will be sticking out the back unprotected. You can be hit from the back and have your canoe damaged. However when you install a carrier to your track, you will be able to secure your craft. You will either carry it on your roof extension or the bed extension. With these extensions the craft will be secure and you will drive with your mind at peace. Pickup trucks can do a lot. Many of them are built with off road performance features. They allow you to go where most vehicles will not go. In addition, they are sturdier than most other vehicles. Having a truck sets you apart from most other drivers. However there is still more potential in your vehicle. When fitted with craft carriers it can carry so much more than a sedan would. Fitting pick up carriers will allow you to carry not one, but four trucks. Thus you may want to fit them onto your vehicle to take advantage of this. Everyone knows that sports are best enjoyed together. If you are a water sport kind of person, you will also have the chance to carry your friends’ crafts as well as your own. You can then car pool and enjoy the water together. There are thus numerous reasons why you should fit your vehicle with these carriers. Choosing the right one will depend on what you want them to do. The checklist below will guide you on your decision. For something that will last you a long time, you may want to save up for a quality brand. If money is no object go for the name brands. However there are good quality carriers within a low price range. The capacity that you want can also be your guide. Many carriers will give you a distributed capacity of between 750 lbs and 800 lbs. This will allow you to carry more than one craft and even other equipment. Some carriers allow you to adjust the width and the height. This is awesome for the extenders when you need to raise the back when reversing up a slope. If this is something that you want, you will definitely find it. This can come from both the strength of the carrier as well as the resistance to rust. You may be using a salt water body for your water sports and this will make the equipment prone to rust. Thus either pick a carrier that is rust resistant, or buy one and coat it yourself. The reason you may want to coat it yourself is that some good quality carriers don’t have this coating. You should not skip them because of a minor detail that you can correct. With these many reasons to get a kayak rack you should start looking for one. Amazon has a great variety of carriers to choose from. You will find one that works for you. Hey great article. I have one question…what is the brand of the rack that you have on the second picture (right above the PRICE title).